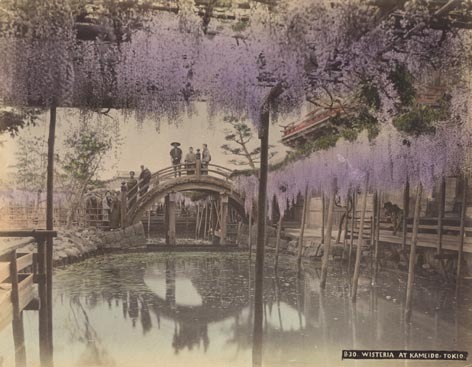 seven years after helen hyde went to japan for the first time at the age of 31, she was quoted in january 1906 issue of harper's bazar as saying, "japan is a gem, a revelation, a new world filled with art possibilities beyond one's dreams." hyde had already become an artist, an illustrator; growing up in san francisco and studying in paris had already given her a taste for, a delight in, the 'exotic,' the unexpected, the foreign, the unknown. during her eleven years living in japan, hyde studied the japanese style of printmaking, studying with other westerners at first, and then with the japanese masters themselves. this page has images of the bridge at kameido, near tokyo, as seen by several different artists. ms. hyde's is the one at the top left. if you like her work, you will find a great deal of her work online. 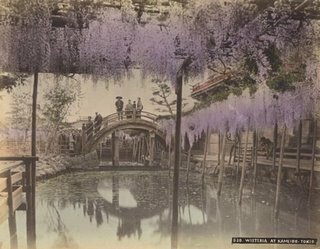 this original bridge was destroyed in world war two, and has been rebuilt. 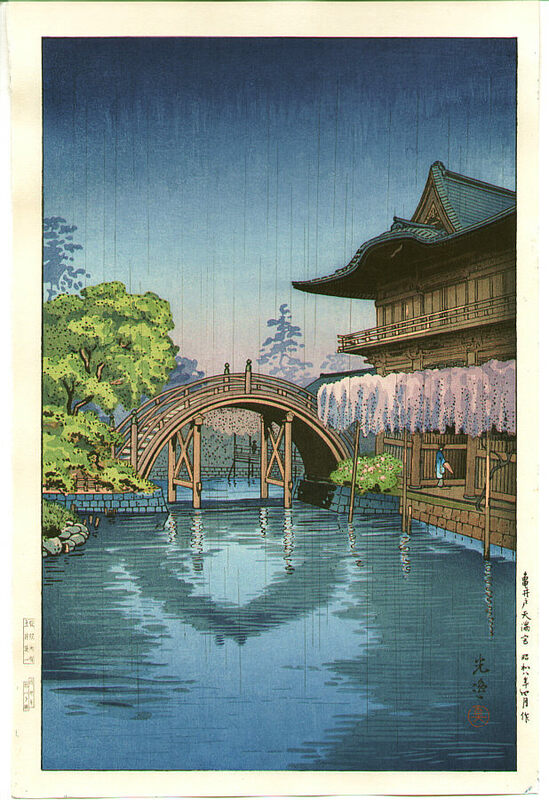 do you have a collection of woodblock prints? 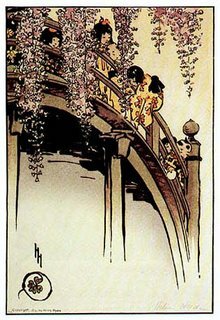 i have many--though i'm partial to the 'japonisme' ones than the japanese, so i have a number of arthur wesley dows, a margaret jordan patterson, a george de feure (art nouveau), a leon bakst, a bjo nordfeldt, a charles rennie mackintosh, an henri riviere, a hokusai and a number of others (which i'll check later). of course they're all either out of magazines or calendars, or they're postcards i got at museums, but i frame them and hang them anyway, and love them just as well anyway. sweet! like they say, everything looks good in a frame. the Toshi Yoshida pieces are just stunning. how could i have forgotten the hasui kawase? i have two of his that i love too. 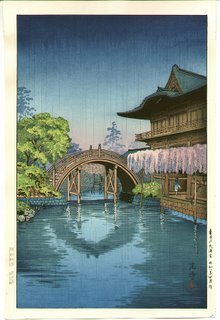 hasui kawase, along with hiroshi yoshida and toshi yoshida, father and son, are from that generation of japanese printmakers that had been in contact with western art. 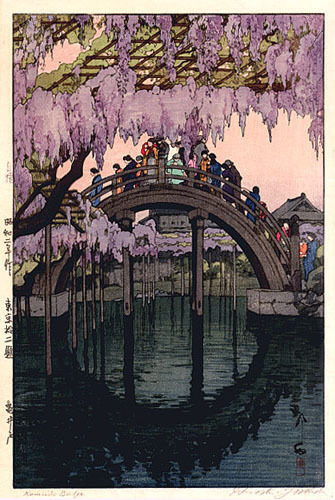 they are more likely to feature perspective and subtle shadings of color than earlier prints. i have always been about in adoration of these as i have been with what was going on in the west due to the same moment of cultural intermingling. though i'll admit that looking at so many earlier prints each day, i'm finding much to capture my heart there as well. Wow. 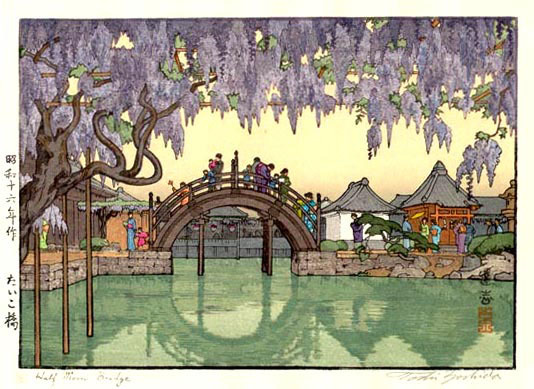 I was knocked back in my seat when I saw the Half Moon Bridge by Toshi Yoshida. I have a print of this right next to my desk, given to me by my good friend Luc Desmarchelier, who was until recently an Art Director at Dreamworks, and presently works at Sony Pictures Animation. oh that's so cool, michael. i love when that happens. Quick question, do you know of any artbooks on Toshi Yoshida ? I'd love to study more of his work.Thanks. 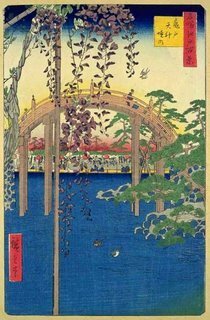 i'm sorry dom, i don't know of one personally, but a little poking around on the net suggested that :Yoshida Toshi: Nature, art, and peace" seems to be the main one.